Hello, kitty! Have you read about the new embeddable Getty Images? Getty realized that people were going to use their images with or without permission. For all the blog posts about not using copyrighted photos, people still do it. Getty decided that to beat them, they had to join them. Many of the images in the Getty catalogue are now embeddable, like most of the videos on YouTube. I'm not sure what other bloggers think, but so far I like the idea. I've wasted so much time looking for the source of a photo I want to use, only to come up with nothing. Usually I give up and find a photo of my own, a somewhat related free stock photo, or something from Flickr Commons. It's not like I'm rolling in dollar bills from blogging, so paying a stock photo company for images is not practical for me. This seems like an everybody wins solution. We shall see. The only issue I have is that you cannot change the size of the image and some of them are BIG. Maybe you read about the Anne Rice/Amazon petition? She's always had a bee in her bonnet over negative reviews. Perhaps she shouldn't read them? Anyway Michele at Reader's Respite has an interesting post about it. I'm back to reading Rebecca by Daphne du Maurier. I'm getting a lot out of it. I love how she leaves these little clues about the characters and how they see each other. It is brilliant. 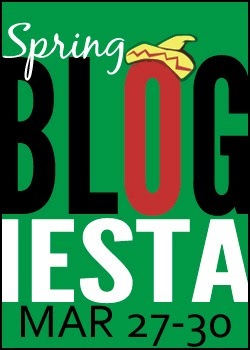 Bloggeista is coming! March 27-30. Seems like a ways off but it will be here before you know it. I have a bunch of stuff I need to do, so I better Bloggeista this time around. And just for fun, what Ladyblog are you? A quiz from Persephone Magazine. I got The Toast, which pleased me because I love The Toast. hm. The Getty Images thing is interesting. I bookmarked it to look at their pictures after. I mostly use my own pictures or book covers, but sometimes it is nice to have something and I can't get it. Love the new embeddable images! And thank you for the Bloggiesta reminder. All over that! I got Jezebel. I love Jezebel! I like the embeddable images. It is possible to choose different sizes on embeddable videos so maybe that will come with the embeddable images in due course. My gut reaction is that i like what Getty is doing. I'm sure that over time they will tweak their services and maybe things like size will become changeable. And thank you for your reminder about Bloggiesta. By the end of the month i should have a slew of things on my to-do list! I am still feeling the effects of the time change. I am such a grouch over that lost hour. Sigh. Getty Images? I suppose it's a good thing. Would be nice if they offered up some size choices, etc. I've never been so cranky and exhausted about Daylight Savings Time as I am this year. Damn the clocks! I hadn't heard about the newest Anne Rice kerfuffle. What an irritating woman she is. Hm, I like the idea of the embeddable images. May have to check out Getty more in the future. I have been following the Anne Rice thing a little - I think a lot of people are choosing to jump on the bully bandwagon just because they want to be in on the drama.